My kids have 7 1/2, yes only 7 1/2 days left of school. To say we’re all a bit excited about that fact would be an understatement! This has been one hectic, crazy school year and we’re looking forward to the relaxing days of summer. This summer is also exciting because we’re moving into a brand new house mid-June. A new house that has a community pool! You know what that means? Yep, we’ll probably be at the pool all the time. As a work-at-home mom, I get up early before the kids and get my work done in a few hours and then we have the rest of the day to do whatever we want. Lazy afternoons by the pool being one of those things. Along with bathing suit weather, comes having to think about shaving. Every.single.day. UGH. There have been times I’ve found myself shaving on the edge of the tub because we decided last minute to go to the pool and well, no one likes hairy legs at the pool. No one. I’m so excited to share with you about a product I am testing. I mentioned it on my Instagram and quite a few of you were excited to hear about the results. I’m excited to see the results! I usually shave everyday during the summer. It doesn’t always happen, but I try. I shave with shaving cream (usually) because if I don’t, I get those annoying little bumps that aren’t attractive and don’t feel great either. Shaving is time consuming. It just is. So when I was given the opportunity to try a hair removal system that could give me hair free legs, under arms and bikini line for summer – I said sign me up! Three days ago I tested out the Remington i-Light Pro for the first time. They recommend you shave first before your treatment. Before I get into my results, here’s a description of what this product is and how it works. You can find out more here. Do you end up with missed hairs, irritation, or annoying little black dots on your skin after shaving or waxing that get in the way of having beautiful skin? Does your hair seem to grow back immediately, then leaving your legs with prickly stubble? 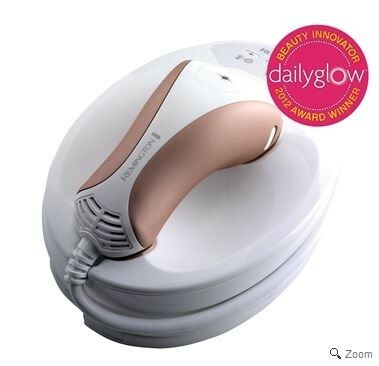 Break free from the hassle of your daily hair removal routine with the i-LIGHT™ Pro, a revolutionary hair removal system that uses scientifically-designed pulses of light to stop hair growth, revealing a new kind of clear, smooth, beautiful skin. Break free from the hassle of daily hair removal – Sounds nice doesn’t it? Last for up to 6 months – Sounds incredible doesn’t it? I have tried the at home waxing before and absolutely hated it. It was messy, it hurt like heck and it just didn’t last. With the Remington i-Light Pro, for the first month and a half, you do the treatment every two weeks. Then you only do touch-ups as needed. What do I think after my first treatment and did it hurt? Like I said, I did my first treatment two days ago and although I did shave in the shower this morning, I already noticed the hair that was there is finer. I’m looking forward to seeing how more treatments work in the coming weeks. Did the treatment hurt? There are different settings you can adjust to intensify the treatment. When I was first researching this product, reviewers said that it felt like a small rubber-band sting and I would agree with that. I used the third setting on my legs and it wasn’t uncomfortable to me. The higher setting was a little too intense for me. I did a treatment this morning on my underarms and bikini line and will report my results on those areas in a few weeks, as well as my legs after a couple of more treatments. Here are a couple of videos to give you an idea of how this product works. I’m a visual person, so I watched the DVD that came with the product. I would definitely recommend watching it. The product does say it does not work on dark skin or gray hair. You even have to do a skin test each time before you use it. It also says to not use this on your face or neck, as it can lead to swelling, skin discoloration and other symptoms you don’t want. As with any product like this, carefully read the instructions and watch any videos. Stay tuned sometime in July for a report back of how this product is working for me. I’m really hoping to be able to say I love it and that the results were exactly what I hoped they would be. Have you used any hair removal products in the past? What were they and what were your results? 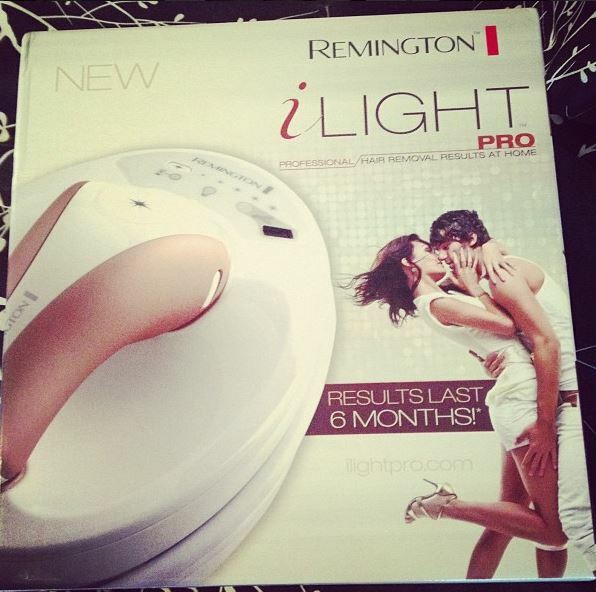 Does the Remington i-Light Pro sound intriguing to you? Let me know!